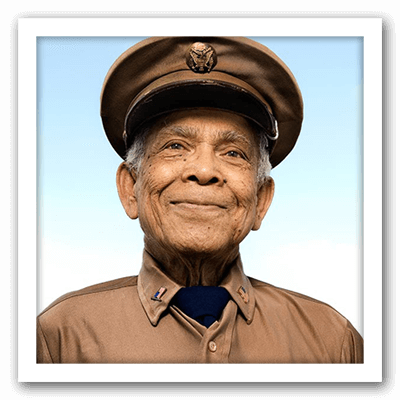 Bailey spends his days napping, sunbathing by the window and socializing with the residents and staff of Belmont Village Oak Park—he’s become a favorite among many of his neighbors. Like many residents’ pets, the friendly 30-pound cat lives with his owner as a valued companion. 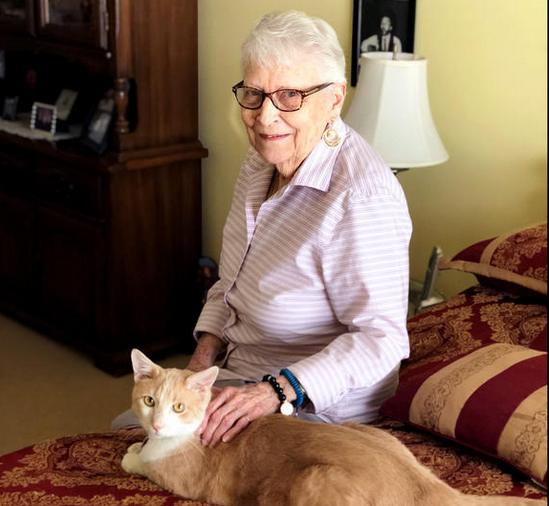 Cats, dogs and other small animals have provided hundreds of Belmont Village residents with comfort as they transition into a senior living community for the first time, often improving the lives of their owners and neighbors. 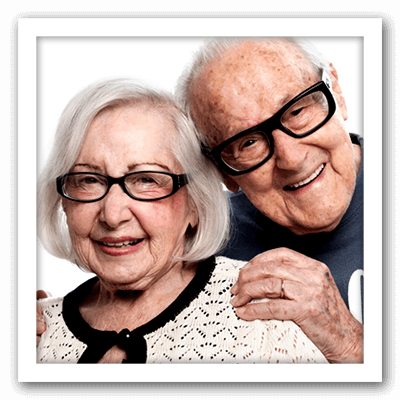 When Bailey’s owner, Jacqy Carnahan, and her daughter were searching for an assisted living community, bringing Bailey was nonnegotiable. 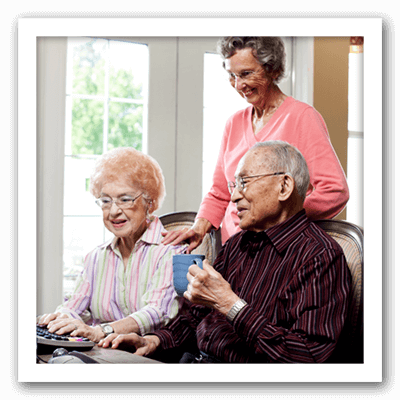 Belmont Village residents don’t have to own a pet to experience the benefits of their companionship. 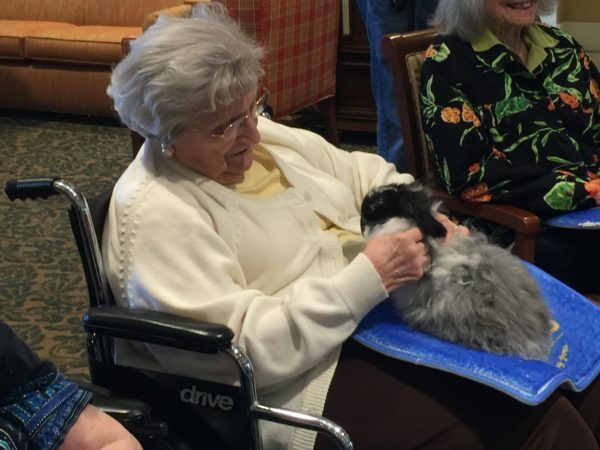 Staff member pets and therapy animals are regular visitors to the communities. Caily O’Donovan, executive director at Belmont Village Oak Park, brings her own dog to Belmont once a week. “Most residents light up when animals are around. Residents who would normally be quiet become enamored when dogs are in the building. Most people have had pets at some point and their memories come alive when an animal visits,” Caily said. Therapy animals can have both physical and mental health benefits, ranging from lowering blood pressure to reducing anxiety. 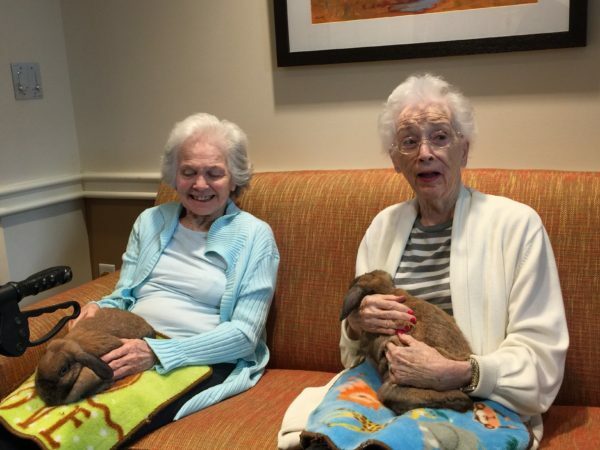 Memory Care residents at Belmont Village Westlake Hills spend time with therapy animals from Tiny Tails to You! once a month. The therapy, which includes rabbits, chickens, guinea pigs and even chinchillas, is about more than just petting cute animals, according to Activity Programs Coordinator Lucinda Farrah. The animals often trigger memories of their own experiences with past pets. 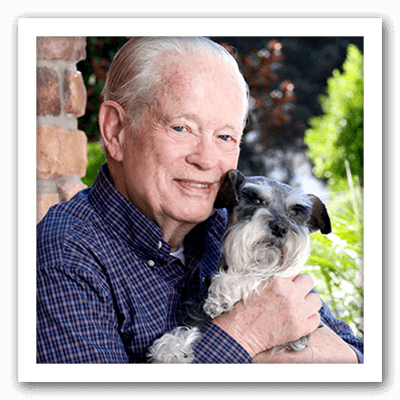 Each Belmont Village community accepts pets at the discretion of their executive directors, welcoming friendly cats and dogs who improve the lives of their owners. For more information on the pet therapy programs or pet policy at your local Belmont Village, contact the community nearest you. *According to Paws for People.